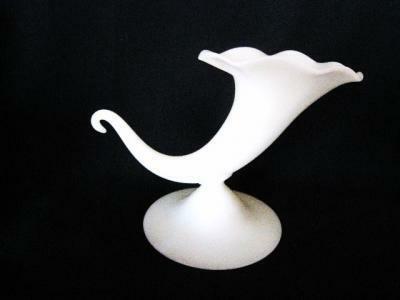 This is a beautiful Steuben Cornucopia vase, 5 1/2 inches tall. This Mint Condition piece is shape no. 7579. It has the scalloped rim and footed horn shape. Signed on the bottom.